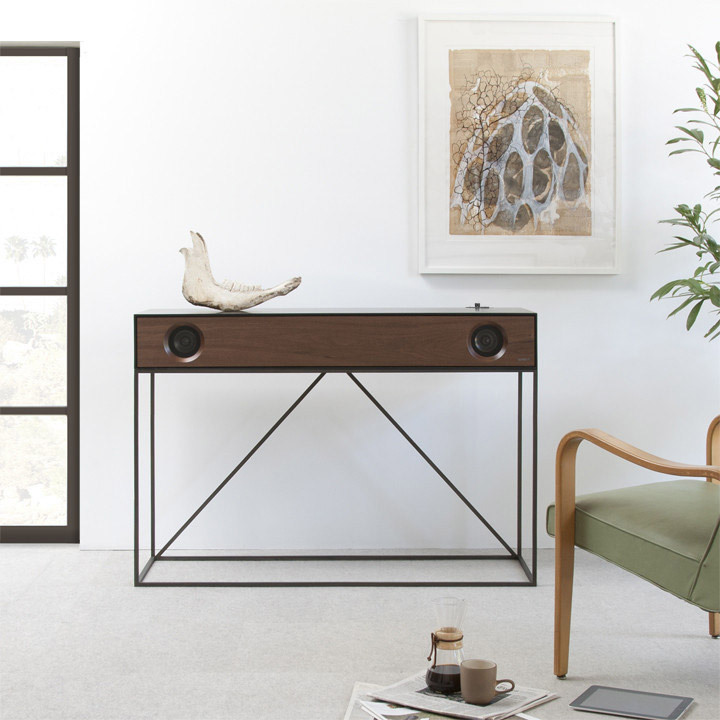 The Stereo Console by Symbol beautifully merges sound and style. The Console has a built in amplifier and speakers and can play virtually any audio input source. 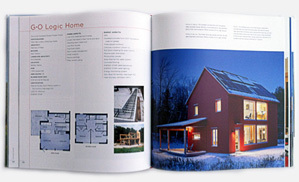 Its design is clean and simplistic and is certain to add a touch of style to any room. A key advantage of the Console’s design is its attention to detail and flexibility. You can choose from several options for the cabinet finish and speaker front finish and can also choose to add LP storage bins. The design also includes a hidden compartment where you can place a wireless base station or hide unwanted wires. 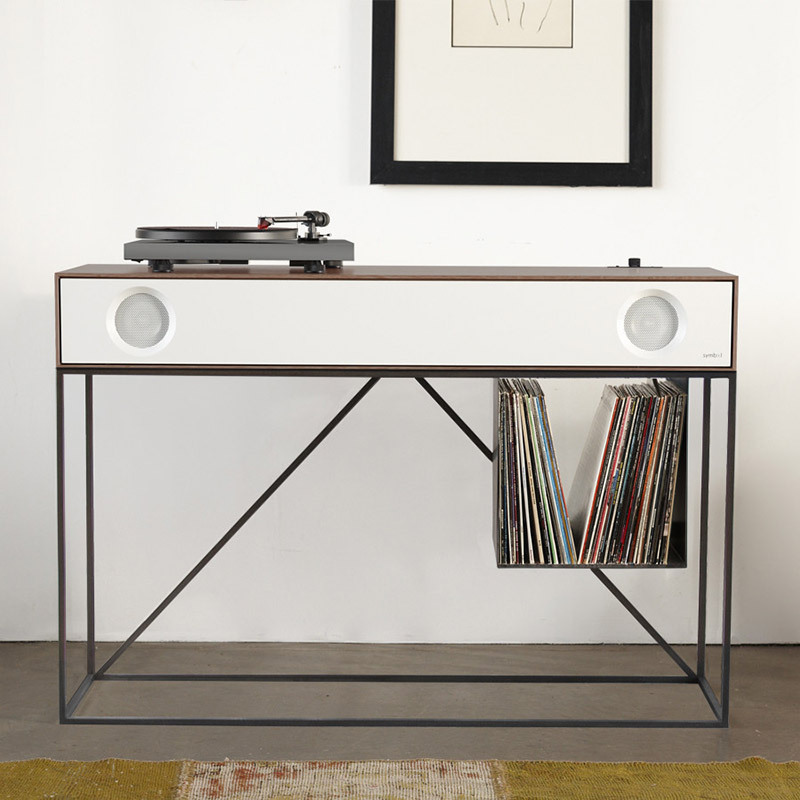 The Stereo Console is ideal for those who love to play records. It is the perfect size for a turntable and you can also order one from the Console manufacturers. The LP storage bins let you neatly store all or your records and you can choose to have either 1,2 or 3 bins (or none). The dimensions of the Console are 48″ W x 17 1/2″ D x 33″ H. You can select from the following cabinet lacquer finishes: glacier white, slate grey, jet black, natural oat or natural walnut. You can also tailor the speaker front to be either walnut, oak, grey or white. The Console comes with an attractive steel base that has durable power-coated finish. The Console includes a high efficiency 2.1 channel Class D amplifier and a subsonic filter on subwoofer channel. It has 4” full range speakers with titanium cone, solid aluminum phase plug & santoprene surround and 8” subwoofer with rubber surround. 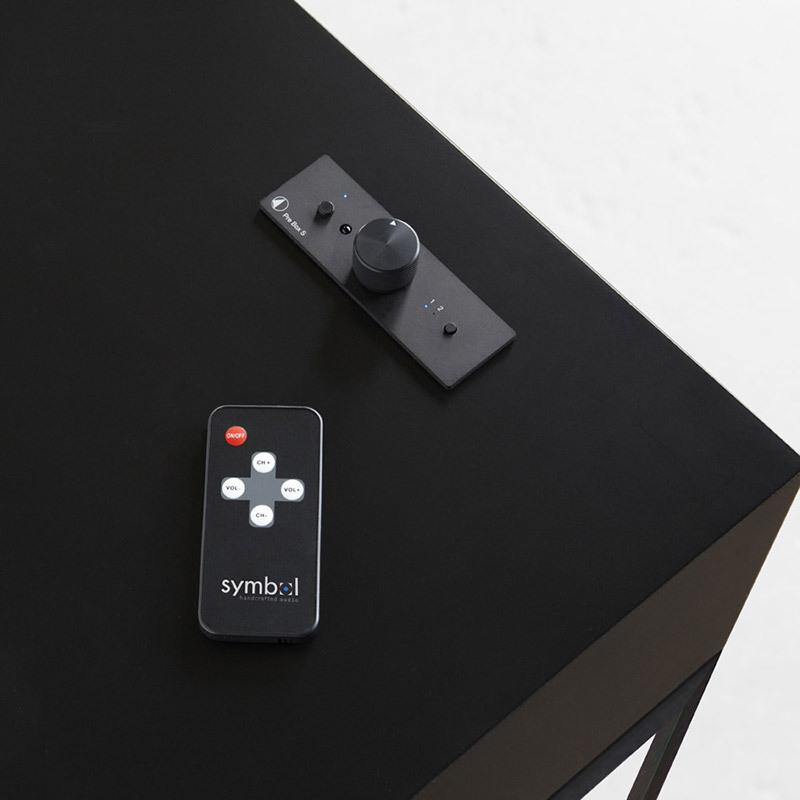 It also has adjustable volume and woofer level controls and 2 RCA audio inputs. The crossover is 110Hz 18/dB octave and it uses 8 watts per channel stereo / 15.5 watts subwoofer. The system comes with a remote control with volume and source controls.